Welcome to Portage Township Minnesota, better known as Buyck (pronounced bike). 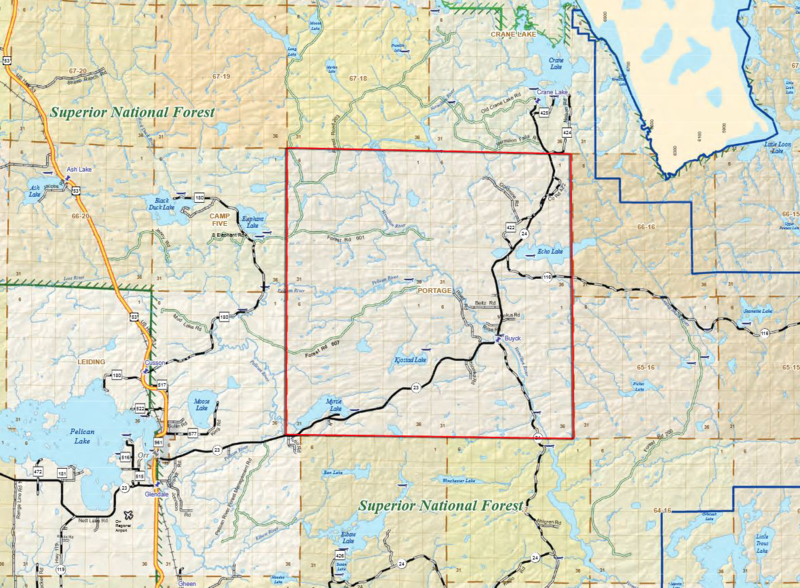 We are located in St. Louis County approximately 125 miles north of Duluth Minnesota. 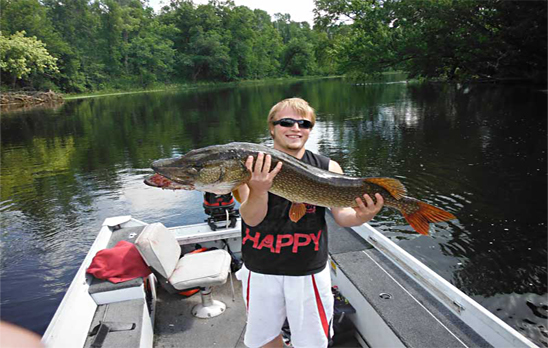 Situated in the Kabetogama State Forest, Portage Township boasts some of our country's best fishing as well as beautiful scenery. With lakes, trails and the Vermilion river, there is sure to be something to catch your interest here in Buyck, MN. Our township meetings are held on the 3rd Monday of every month. Meetings are at 7:00 p.m. in the Buyck Volunteer Fire Department Building. Our Fire Department's business meetings are held on the 2nd Monday of the month while the training meetings are held on the 4th Monday of the month. Meetings are held at 7:00p.m. in the Buyck Volunteer Fire Department building. We are now having EMR meetings on the first Monday of each month ! Free to the public ! Sadly, St. Joseph's Catholic Church in Buyck is Closed. Services at Holy Cross Catholic Church in Orr, MN are held on Sundays at 8:30 a.m.
Services at Crane Lake Non-Denominational Church are held on Sundays at 11:30 a.m. This years annual Pork & Corn feed is long gone. Everyone sure had a great time too ! The 2019 Fire Department's annual Pork & Corn Feed will be held on August 3, 2019 starting at 11:00 a.m. There will be an auction as usual. The Buyck Volunteer Fire Department will be hosting their annual Gun Raffle on Saturday, November 17th at 7:00 p.m. at the Trails End REsort in Buyck, Mn. First Prize is a Browning A-Bolt III 30-06 with a Nikon 3-9x40 Scope ! There will be other prizes, come on out and join us ! 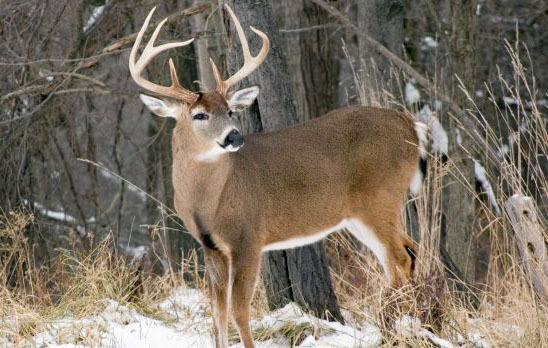 Some of this country's best hunting is right here in our back yard. From Whitetails to Black Bear, Grouse, and Duck, we've got what you're hunting for (pun intended) right here in Buyck, Minnesota. Walleye, Northern Pike, Crappie and Bass. We've got a lot of fish in these parts and they're just jumping to land in your pan ! There are plenty of Bluegill and Sunnys too. Photo courtesy of Gold Mine Camp. What better place to come for some great wildlife shots. 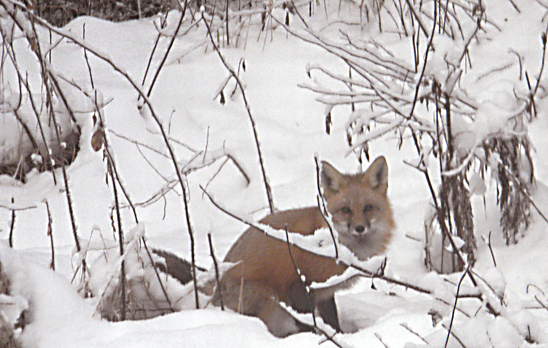 For those of you who like to hunt with your lens, Buyck Minnesota might just have what you're looking to shoot. Photo courtesy of Kathy Weiand. Houses, cabins and hunting properties are available through local realtors. Why not make Buyck Minnesota your family's next get-away haven. What else can you do in Buyck you ask ? Atv's provide a popular way to get together with others. Here in Buyck, we've got the trails to make your memories on. 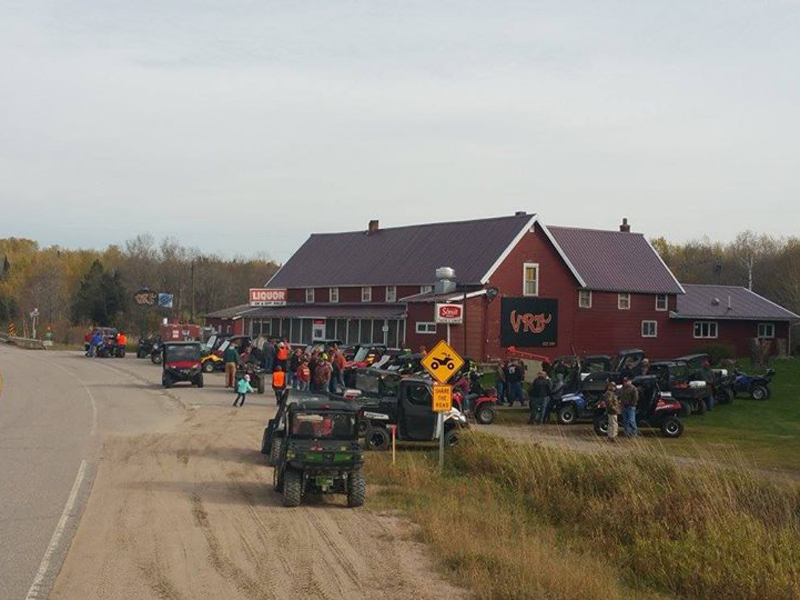 Voyageur Country ATV recently held their annual "Spring Ride" on Saturday April the 16th. Were you among the many riders welcoming spring to the Northland ? Snowmobiling is a popular way folks get together here in Buyck, MN. With powder covered trails and frozen rivers and lakes, there are plenty of places to ride. There are multiple clubs in the area if group riding is your thing. Fishing is a year round sport here in northern Minnesota. 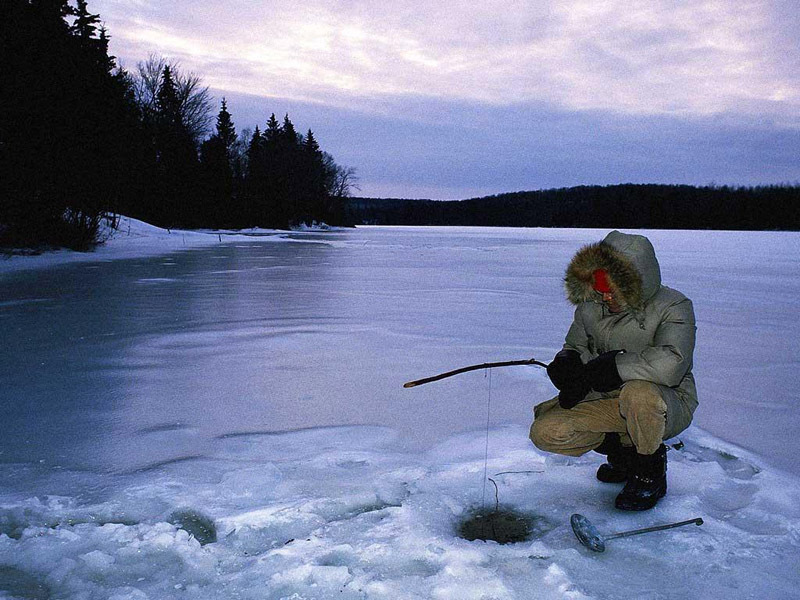 You don't have to have an Ice House to enjoy fishing, but it helps if you like to stay warm and cozy. So, grab your sled or ATV, pack up and head out to the water. Pop a hole and start pulling in those fish. Life was difficult in the early years. For a fee of $18, a settler received 160 acres on the western frontier thanks to the Homestead Act of January 1, 1863. 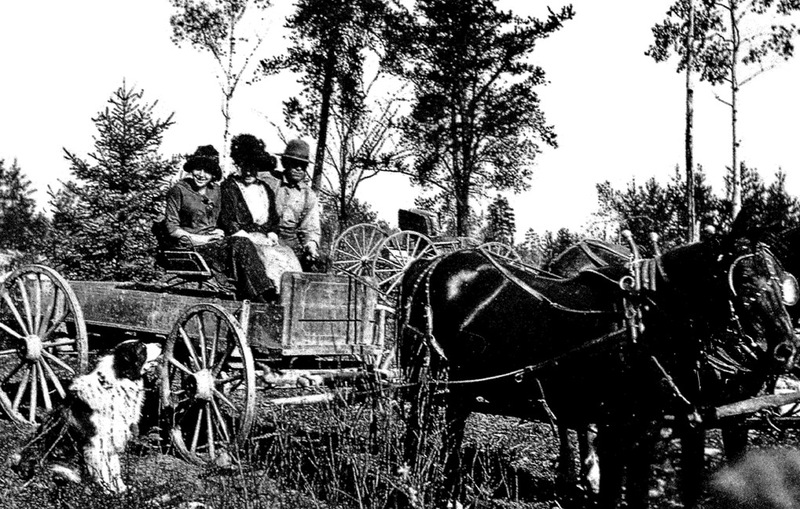 By 1900, settlers were arriving to Tower from the Duluth-Superior area, traveling over Lake Vermilion by barge or steam-boat in summer and horse teams in winter, to homestead in the Buyck area. They brought with them their family, animals, and all their earthly belongings to start a new life. Excerpt and photo from: Portage Township: Better Known as Buyck, The First 100 Years. So this is how it started. 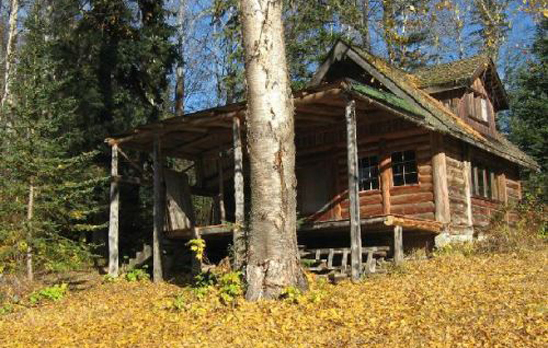 In the late 1800's several settlers’ cabins were in the area. Jackson's Hotel was on the south side of the beautiful Vermilion River. In the early 1900's, Charles Buyck moved his family from Superior, Wisconsin to that spot and built. Life was difficult in the early years. 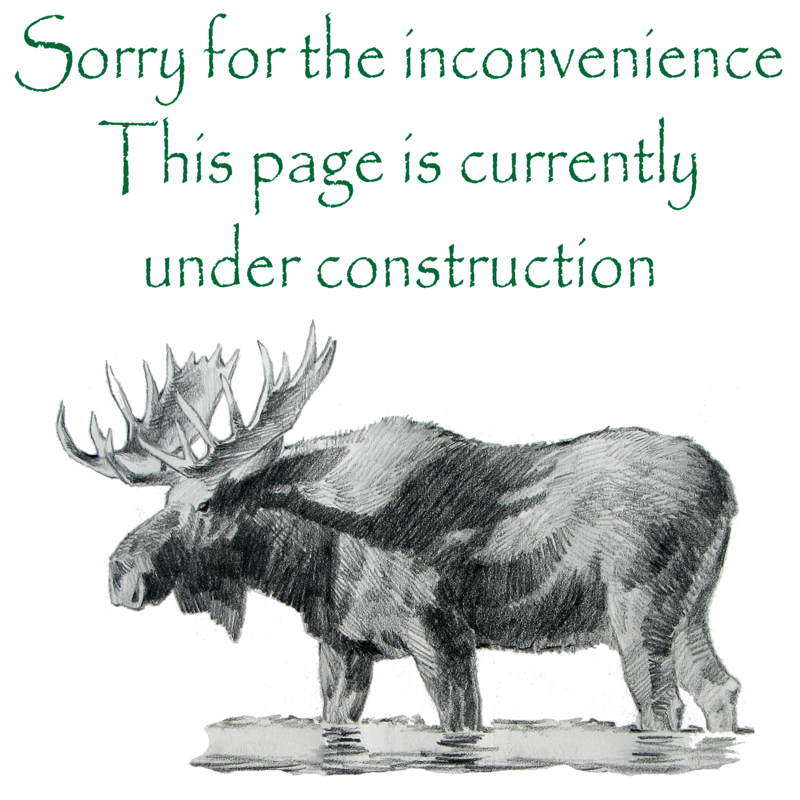 They joined the loggers, timber cruisers, government surveyors, and prospectors looking for gold. They farmed and proved up their homestead claim which required a five year commitment to receive their title from the government.